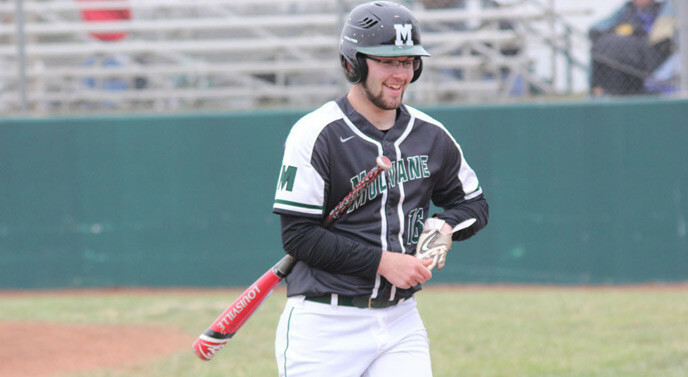 Ethan Booe threw a shutout to lead Mulvane Wildcats Varsity past Wellington 10-0 on Thursday. Mulvane Wildcats Varsity got things started in the first inning. Brett Nelson singled on a 2-1 count, scoring one run. Mulvane Wildcats Varsity scored four runs in the fifth inning. Hunter Dye and Jayden Price each had RBIs in the frame. One bright spot for Wellington was a single by Julian Jimenez in the second inning. Booe led things off on the hill for Mulvane Wildcats Varsity. He went five innings, allowing zero runs on four hits and striking out eight. Cade Phelps got the start for Wellington. He went two innings, allowing six runs on eight hits and striking out two. Aaron Schoemann threw two and two-thirds innings in relief out of the bullpen. Mulvane Wildcats Varsity racked up 14 hits in the game. Price, Nelson, Nathan Klein, Matt Beyer, and Cole Diffenbaugh each collected multiple hits for Mulvane Wildcats Varsity. Diffenbaugh, Beyer, Klein, Nelson, and Price each collected two hits to lead Mulvane Wildcats Varsity. Diffenbaugh led Mulvane Wildcats Varsity with three stolen bases, as they ran wild on the base paths with 11 stolen bases. Mulvane Wildcats Varsity didn't commit a single error in the field. Klein had eight chances in the field, the most on the team. Wellington didn't commit a single error in the field. Gage Cunningham had the most chances in the field with four. Jayden Price gave Wellington fits, as he bagged four hits in Mulvane Wildcats Varsity's 11-5 victory on Thursday. Price singled in the first, singled in the second, singled in the third, and singled in the fifth. An early lead helped propel Mulvane Wildcats Varsity to victory. Mulvane Wildcats Varsity scored on a stolen base by Brett Nelson in the first inning, a stolen base by Matt Beyer in the second inning, a single by Price in the second inning, a walk by Nathan Klein in the second inning, a walk by Kyler VanderGiesen in the second inning, and a single by Gage Gerlach in the second inning. Mulvane Wildcats Varsity pulled away for good with six runs in the second inning. In the second Price singled on a 3-1 count, scoring one run and Gerlach singled on a 0-2 count, scoring two runs. VanderGiesen led things off on the hill for Mulvane Wildcats Varsity. He surrendered five runs on seven hits over three innings, striking out five and walking one. DeAndre Washington was on the mound for Wellington. He allowed seven hits and eight runs over one and one-third innings, striking out one. Julian Jimenez and Logan Jones entered the game as relief, throwing four innings and two-thirds of an inning respectively. Mulvane Wildcats Varsity racked up 14 hits in the game. Price, Gerlach, and Cole Diffenbaugh all had multiple hits for Mulvane Wildcats Varsity. Price went 4-for-4 at the plate to lead Mulvane Wildcats Varsity in hits. Mulvane Wildcats Varsity was sure-handed and didn't commit a single error. Klein made the most plays with 12. Mulvane Wildcats Varsity stole five bases during the game as two players stole more than one. Price led the way with two. Wellington saw the ball well today, racking up nine hits in the game. Grey Hatfield and Trey Cary each collected multiple hits for Wellington. Wellington was sure-handed in the field and didn't commit a single error. Cary had the most chances in the field with four.